California vacations are a favorite choice because of the state's beauty and moderate climate. For your next California getaway, you have many choices....towering forests, ocean beaches, rocky coastline, snow capped mountains, wilderness parks, hot deserts or cosmopolitan cities. This state is one of the most diverse and interesting in America. It is also impressive in size - 800 miles long and 250 miles wide. California was discovered by the Spanish in 1542, but not colonized until the 18th Century. The Spanish influence is still felt throughout the state. Discover great places to visit for romantic weekend getaways, girls getaways, family vacations in California and more. You can share YOUR favorite destination for a California getaway or read other visitor's top picks. Check out these inexpensive travel books to help you plan your CA vacation. There are titles about family travel, camping, beaches, bed and breakfasts, northern CA, wine country and more. Browse by destination for the best deal on CA hotels including photos and reviews. Check out CA Vacation Rentals as a great unique lodging option. 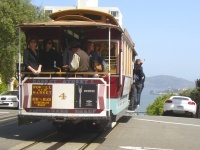 This beautiful City by the Bay has so much to offer including many sights to see, hotels, restaurants and neighborhoods to explore. California Wine Country is a favorite destination. 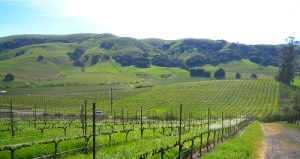 Napa Valley has beautiful scenery, moderate climate and lots to see and do. The other famous wine country valley is Sonoma.....more laid back than Napa. This is a great choice for California romantic weekend getaways. This is a perfect choice for a California beach vacation. Santa Barbara's setting on the beautiful Pacific coastline and many outdoor activities make it one of the top vacation spots in California. Check out the lovely California beach vacation rentals here. 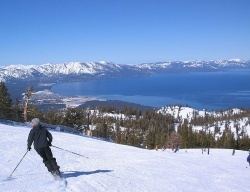 The spectacular scenery in the Lake Tahoe area, its moderate climate and fantastic snow conditions make this a great destination year round. Outdoor activities include skiing, hiking, rock climbing, swimming and biking. 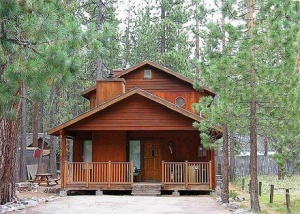 Vacation rentals are very popular around Lake Tahoe. 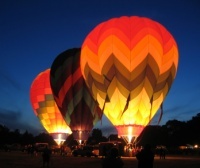 They are great for family vacations, ski weekends, girls getaways, reunions and more. Where is your favorite California destination? Maybe you discovered it on a weekend getaway, girls weekend or family vacation. Please share it here....we would love to hear about it!